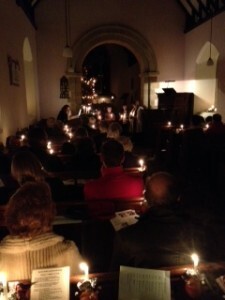 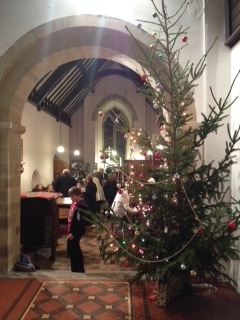 It was a packed Church for the annual village Carol Service and Christingle on Sunday 14th December. 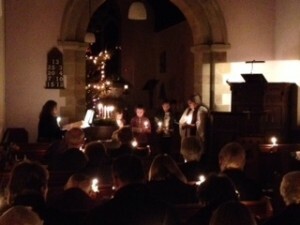 The service was beautifully decorated with holly and candles, and the Service followed the traditional format of 9 lessons and carols. 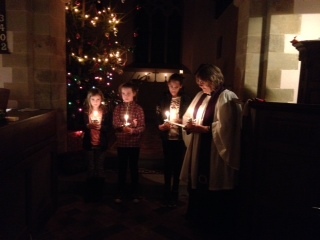 During the service, the children helped to light the Christingles and the lights were switched off for a candlelit rendition of “Away in a Manger”. 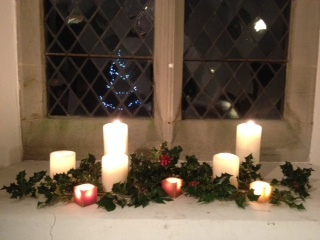 Afterwards, there was mulled wine and plenty of seasonal nibbles for everyone to enjoy whilst they enjoyed a get together with neighbours. All donations from the collection plate (£100 in total) were donated to The Children’s Society. 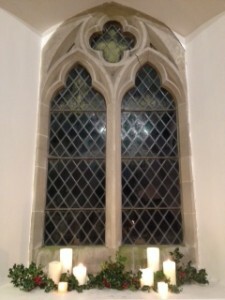 Churchwardens Zoe and Rebecca would like to thank everyone that helped decorate the Church, prepare refreshments or read on the night and to everyone for attending.